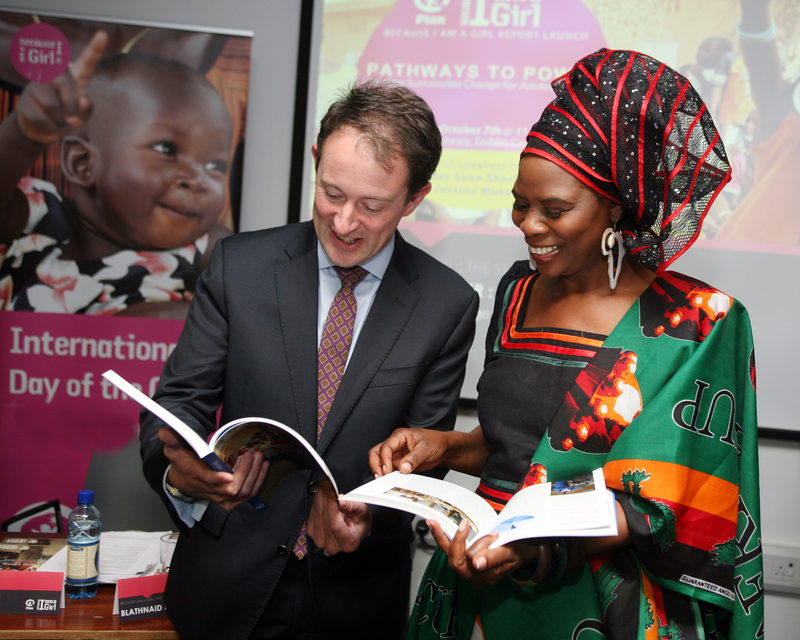 Justina Mutale launched the report on “PATHWAYS TO POWER: Creating Sustainable Change for Adolescent Girls” part of the Plan International Ireland’s series of BECAUSE I AM A GIRL REPORT that looks at the state of girls in the world. Justina was joined by the Irish Minister of State for Foreign Affairs and Overseas Development, Mr Sean Sherlock to mark the 2014 United Nations International Day of the Girl. 7t October 2014, Chester Library, Dublin Castle, Ireland.